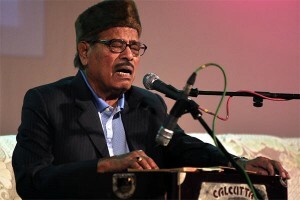 Manna Dey was in and out of hospital in the last five months for respiratory and renal problems. He died of cardiac arrest at 3:50 AM in Bangalore on 24th October 2013. He was 94. Dey sang more than 3,500 songs, including romantic ballads, intricate raga-based songs, Qawwalis and fast-paced modern numbers in his career.Along with Mohammad Rafi, Mukesh, and Kishore Kumar, he made up what was known as the “famous quartet of singers” who dominated the Hindi film music industry from 1950s to 1970s. His most popular numbers included Zindagi kaisi hai paheli from the film Anand; Poocho na kaise maine raen bitayee from Meri Surat Teri Aankhen; Ek chatur naar from Padosan; and Eey bhai zara dekh ke chalo from Meraa Naam Joker and Kasme wade from Upkaar.